Coatema Coating Machinery GmbH - The Independent Global Source for the Flexible and Printed Electronics Industry. 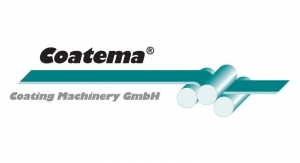 Coatema Coating Machinery GmbH offers a full range of equipment and R&D for coating, printing and laminating plants for Roll-to-Roll and Sheet-to-Sheet applications. We are market leader for 15 years in the pilot line sector with innovative technologies for batteries, fuel cells and printed electronics. A focus on high tech markets, world class service support and one of the most versatile R&D center in the world for coating, printing and laminating enables us to offer complete laboratory to fabrication (Lab-to-Fab) technologies. Besides, we are partner in German and European research projects and organize an international coating symposium every year in Dormagen. As a global acting SME Coatema has a worldwide distribution network and serves all growth markets with their products.